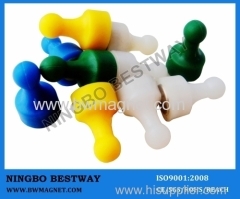 We are one of the professional China manufacturers work at Magnetic Push Pin(Magnetic Push Pin ). 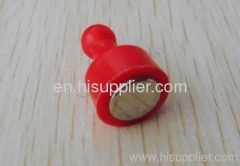 The following items are the relative products of the Magnetic Push Pin, you can quickly find the Magnetic Push Pin through the list. 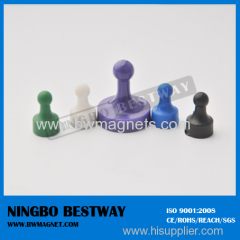 Magnetic push pins made with the super powerful NdFeB Neodymium magnets.A strong magnet is encased in plastics and have unbelievable holding power. wonderful item for offices, schools, warehouses and restaurants.A strongneodymium magnet is encased in plastics and have unbelievable holding power. 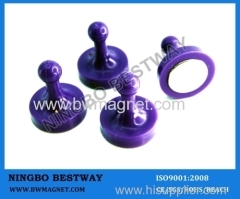 Group of Magnetic Push Pin has been presented above, want more	Magnetic Push Pin and Magnetic Push Pin , Please Contact Us.